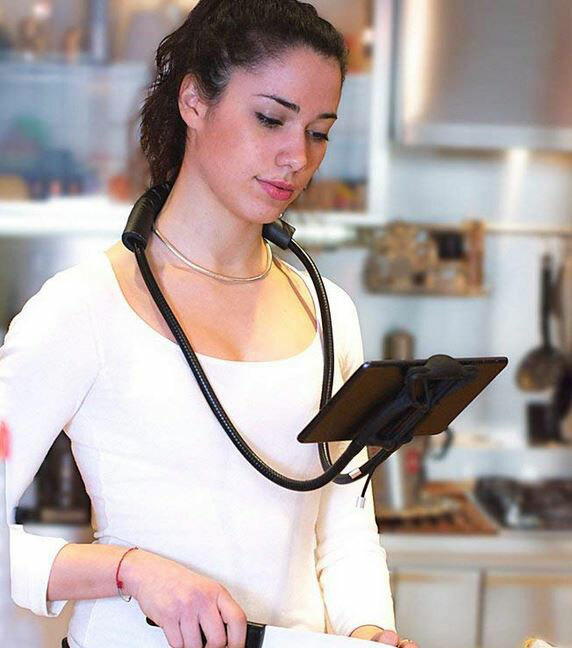 Girdz Tablet Holder: can accommodate tablets from 7 to 10″. It fits inside your waistband, allowing you to store your iPad on your back. Sospendo: a handsfree holder for smartphones, tablets, and other comparable devices. It can secure your tablet in the horizontal or vertical position. 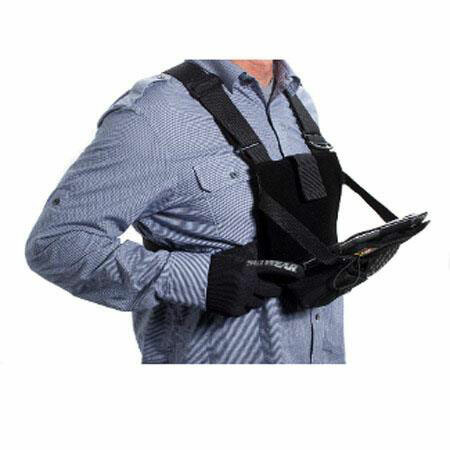 READYACTION Wearable iPad Holder: a chest harness compatible with iPad Air, iPad Mini, and other tablets. It lets you lock your tablet in your desired position and works with the most popular cases. SetWear iPad Chest Pack: lets you go hands-free with your tablet. It has a quick release buckle, 2″ nylon shoulder straps, and a tri-ring adjustment strap system. Which one of these hands-free iPad holders have you tried? 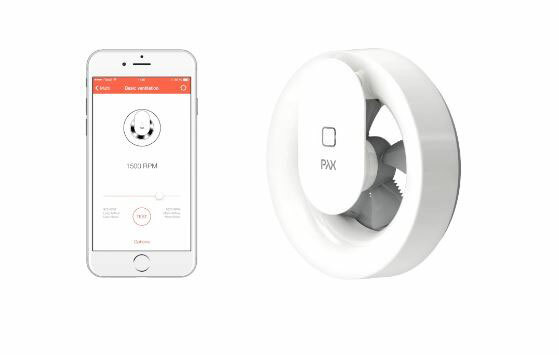 Please share your experience here.